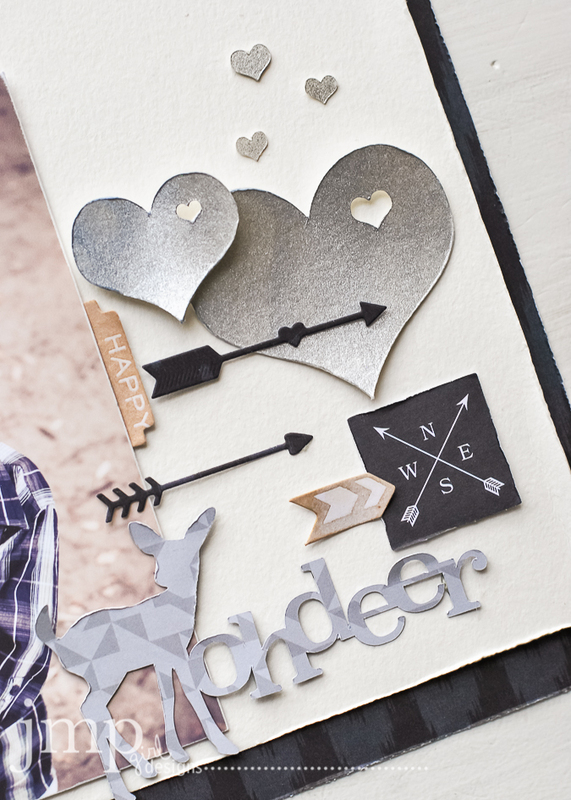 Last week I introduced my newest little collection of cut files for the Sizzix Shape Store. You can see that post here at the Sizzix blog. 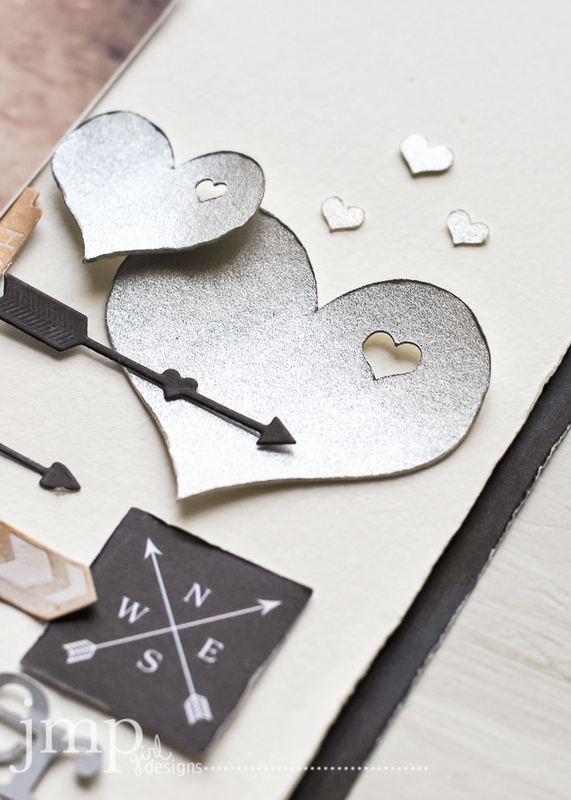 You can see how I used this collection to make ready some Valentine boxed gifts in a glittery fashion. 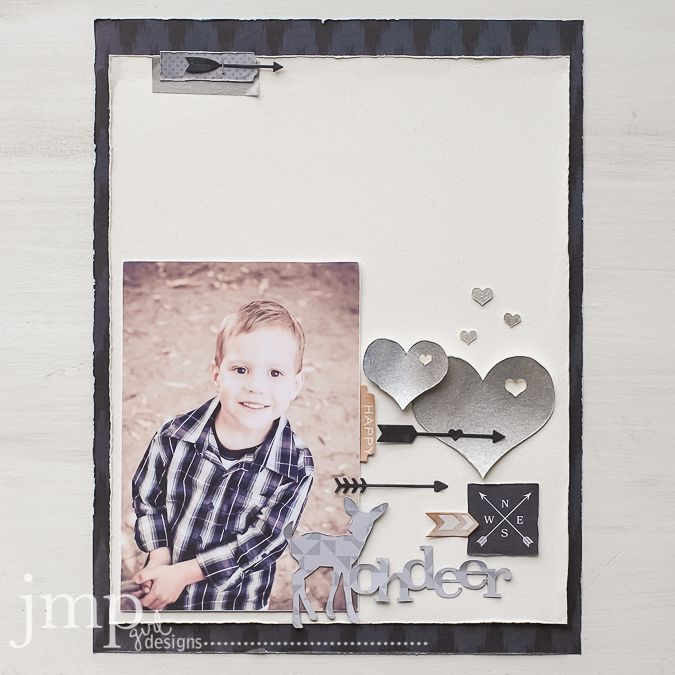 Well today I wanted to share with you how I used that same collection for a little boy layout. 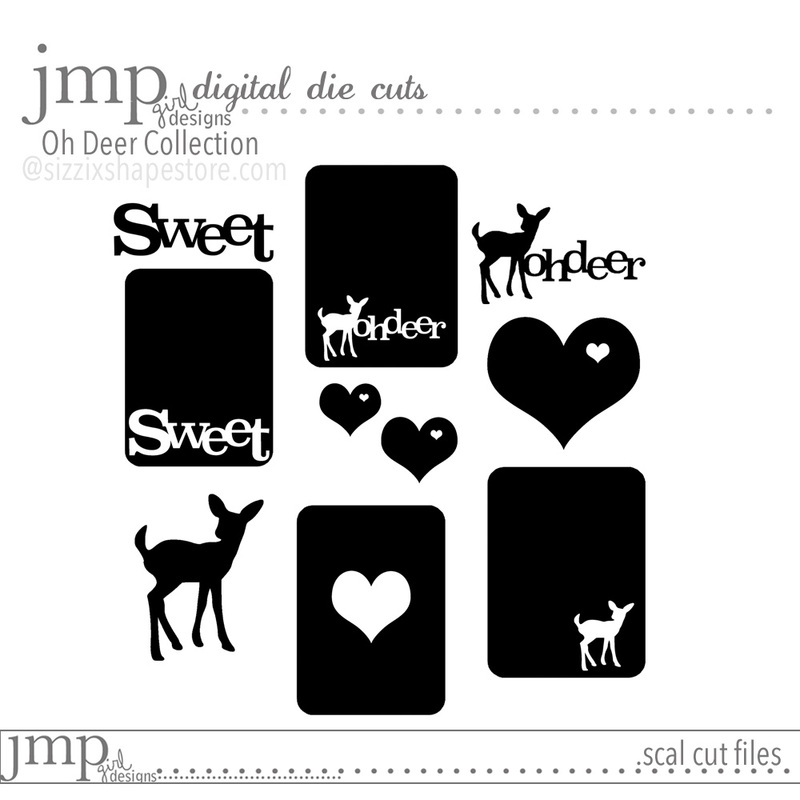 The 'oh deer' was cut with September Skies from Heidi Swapp. I love how it is so perfect in that pixelated grey pattern. I roughed up the edges a bit to give it a bit more of a 'manly' feel. Are ya feelin' it? I cut the Heart in Heart design in different sizes with water color paper. 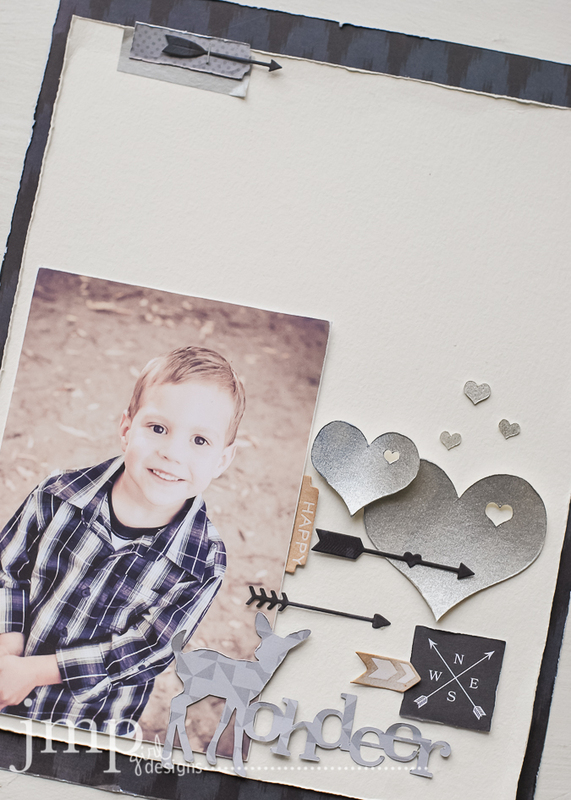 I love the texture water color paper brings my pages and how the Tinsel Color Shine gave it such a perfect texture for this little boy page. Hope you will stop by and check out the collection at the Shape Store. Link me up if you do any creatin' with the set. Would love to show you off!